So this idiot comes right up into my face and starts going on about something or nothing. And I was like, 'Whatever, fella! Relax your slacks and chillax to the max'. You know what I'm saying, guuyyyy? Huh? What's that? No. You don't know what the f*ck I'm saying? Alright then. Fair enough. Then sit back, and take a good long look at this rather engrossing 80 minute documentary made in 1978. Trust me. It'll open your eyes in more ways than one. Word! 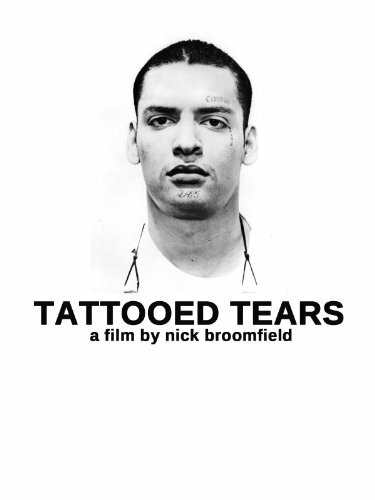 In the late nineteen-seventies, Nick Broomfield took it upon himself to chronicle the day to day lives of four juvenile felons, aged between 17 to 21, all housed within a maximum security prison situated in the American state of California. Now this is initially relayed by eavesdropping on a conversation between two incarcerated youths, who are straddling around in a corridor together. You see, whilst one of them discusses the reasons behind his imprisonment (because he beat up his own Mother), the other one quizzes him about his rather brash actions. Next, though, this documentary takes a sudden turn. And we are abruptly thrust right into the regular prison routine, as elaborated through a series of real life characters. 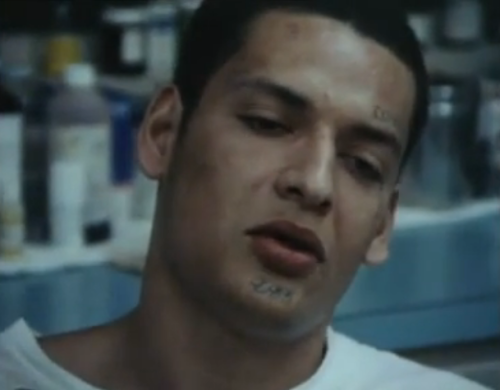 Marcus: Suspecting that this tattooed faced-felon has smuggled a stick up his own posterior, the prison warders quickly reprimand him, because of his refusal to take part in a rectal examination. But thankfully, after a kerfuffle breaks-out between Marcus and the guards -- where he is quickly strapped down onto a gurney and then X-rayed -- he is able to prove the wardens wrong. Nonetheless, his actions are commented on during a hearing later that same day. Resulting in some extra time being added onto Marcus's sentence. Brian: Despite Brian appearing like a rather simple looking youth, he's been called up for re-evaluation, because he keeps on adding more time to his stay inside. Graciously, his evaluation is a soft and probing experience, in which everyone in attendance gives Brian the time to air his tearful views, showing a very frustrated lad yearning to be free. Pedro: Unlike Brian, Perdro is a somewhat aloof character that obviously has some mental health issues to contend with. Now the first time we meet him he's talking to a female prison warden about seeing someone in the distance, calling out to him for reasons unknown. Not so long after this incident, though -- whilst he is in a counselling session -- it is revealed that this is a regular ploy by Pedro, cause he uses this 'tactic' as a ‘cry for attention’. Rob: Without a shadow of a doubt Rob comes across as being a self-harming braggart with a mouth to match. Strangely enough, after being forcibly restrained so that the prison doctor can tend to his self-inflicted injuries, he has to then be restrained yet again so he cannot undo the good doctor’s work. Mores the pity. Please note, that meandering throughout these four unfortunate tales are a number of inserts touching on such aspects as: (1) Religion. (2) Education. (3) Security detail. And (4) Cell and inmate search’s. All resulting in a mêlée of emotions such as anger, fear, confrontation, ignorance, and hopefully... hope. 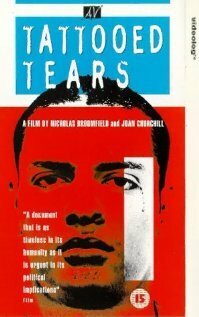 While I was watching ‘Tattooed Tears’, I couldn't help but come up with another name for this rather thought provoking documentary: ‘Whoever shouts the loudest, deserves a slap! GOT IT?’. Hey! Please don't take my missive the wrong way, folks. I'm not trying to imply that this film board me so much, that it prompted my mind to wander off into another direction. No. Far from it. If truth be told the opposite was more than true. This documentary was so harrowing and compelling to sit through, I honestly didn't know what to think from one moment to the next. I mean, I started off feeling sorry for some of the inmates and their situations. Then I started to feel sorry for the prison guards and what they had to put up with. And after that, I felt sorry for everyone else who's been kicked to the curb by societies ill fated nature. 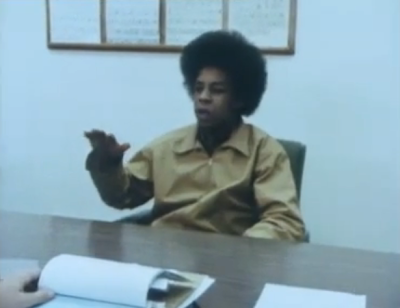 You see, in my eyes this depressing and somewhat eye opening state of affairs in a Californian youth correction service -- circa 1977 -- is a really bold account of the life and times of both the detainees and the detaineers. On one level it’s a historical account, which is blatantly apparent when you see some of the 'stylish shirts' that the wardens are wearing. Whilst on another level it's also an account of the mental state of some of the unfortunate youths living in California at that time. Their prospects appear remote. Their attitudes confused. And their education... sigh... nigh on non-existent. OK. I have to admit. I'm a somewhat liberal heart-ed person myself. And it did break whilst I was watching 'Tattooed Tears'. From my perspective I thought it was a waste of a good human life when you see a kid locked up and detained in the way some of these kids have. Granted, some of the little b*sterd’s deserve a good slap now and again (i.e. Rob). But as for some of the others, though, those who honesty want to make something of their lives -- well -- this isn't fair on them at all. Now I really do hope that this sort of thing is currently in a lot better shape for this latter category of youths. I also hope that this award winning documentary shed some new light on the dismal conditions in which they lived in. For example, the cramped cells, the judgmental stance by some the officers, etc, etc, etc. Plus in addition to this, I hope that some of the people who watched this film gleaned some humility from it too. Cause it does go to show that there are a lot of people out there worse off than your average Joe shmoe. Oh! On a side note. 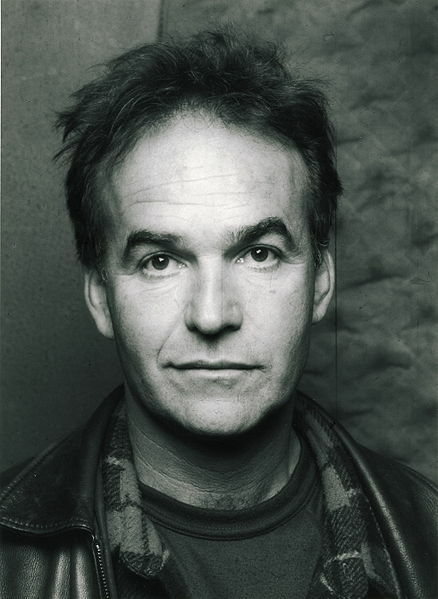 I best mention that this is one of Nick Broomfield's earlier film projects. So you won’t get to see him prancing about in front of the camera as you would in his latter films. Shame really. As it could have done with a bit of levity from time to time. This bleak and somewhat depressing visual document did leave me gob-smacked in places, and feeling somewhat frustrated like the inmates themselves. Still, I suppose it had to be presented in the way that it has. Or otherwise the underlining 'sociological message' wouldn't have come across as powerfully as it did. Right Nick? Good documentary. Well worth the watch.